is PUBLIC DOMAIN, user's group avail. Generic ANSI-C OOP Extension — New and Improved from the author. inheritance, and full compatibility with pre-existing C function libraries. beyond linking in the run-time kernel code. dynamic object database manager with a built in generic function dispatcher. * A modular, expandable, kernel written in standard ANSI-C.
code reusability without modification or recompilation. expand/and or modify a pre-loaded class definition on the fly. same degree of static type checking as standard ANSI C.
redefined by object class definitions to allow for error recovery. What are GCOOPE's main restrictions? memory model. 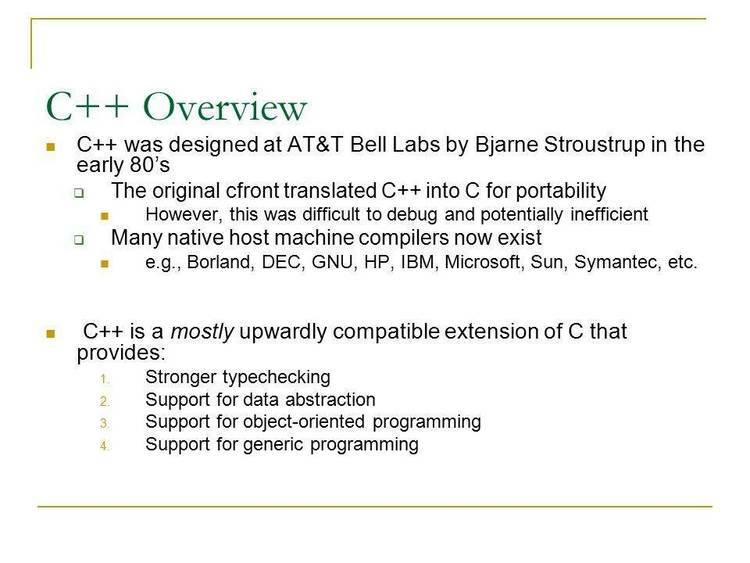 Other compilers and memory models have not been tried. dispatcher alone if function calls are eliminated. referencing and redirecting all external references in a class definition. Why is this being released for free? Price Technologies, will require the assistance of the GCOOPE user community. export restrictions and subsequent problems with the US government). -- one could even term it "caveat downloader". object.c, object.obj, class.c, class.obj, and gcstruct.h. System: gcoope10.h, typing.h, generic.h, gcinit.h, gcinit.c, and gcinit.obj. stdstrm.obj, stream.c, stream.h, and stream.obj. Test: gentest.c, gentest.obj, gentest.prj, and gentest.exe. NOTE: gentest is a simple hello world test program. * USER10.TXT -- the user's guide to GCOOPE with OOP intro. * KERN10.TXT -- the Technical Reference Manual to the GCOOPE kernel. * GENERICS.TXT -- explanation of pre-defined generic functions. * CLASSES.TXT -- explanation of pre-defined class definitions. * LATEADDS.TXT -- late add-ons and notes. user's group members see appendices in KERN10.TXT or USER10.TXT for details. Voice: (814) 784 - 3614. Norman Culver, and Mark Murphy. Many thanks gentlemen.